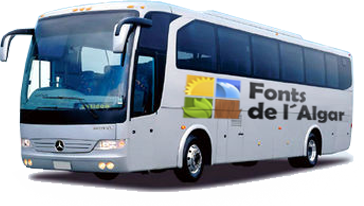 Do not hesitate to contact us for information on camping activities or facilities . Along the AP-7 highway take exit 64 towards N-332/Altea/Calpe/Calp. 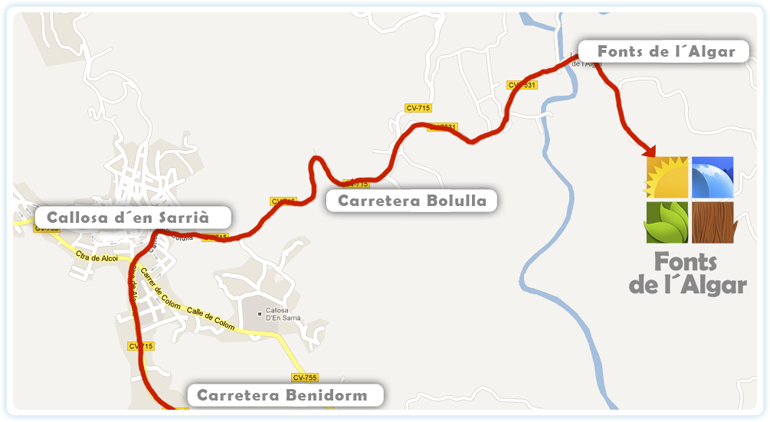 Turn left towards the CV-755 road, continue 9,5 kms heading towards Callosa d´en Sarrià. At Plaça de Quatre Carreteres take the first exit towards the Bolulla/CV- 715 road and continue straight on. Once you get to the cemetery turn right towards the CV-7531 road. From 3 pm at the bridge.